Bonding with your baby is one of the most important things. For mums I think it starts as soon as you see that little pink line on the pregnancy test. As your belly grows you become more and more attached and then the movements starts. There's something so amazing about feeling your unborn child wriggling around inside your belly. As you get even bigger and the baby gets more and more developed you can start talking and singing to baby. This helps the bond between you both and helps them learn your voice. I love talking and singing to baby girl and she loves it too. All our children have loved music while been in my belly. They've all wiggled up a storm and baby girl isn't any different. 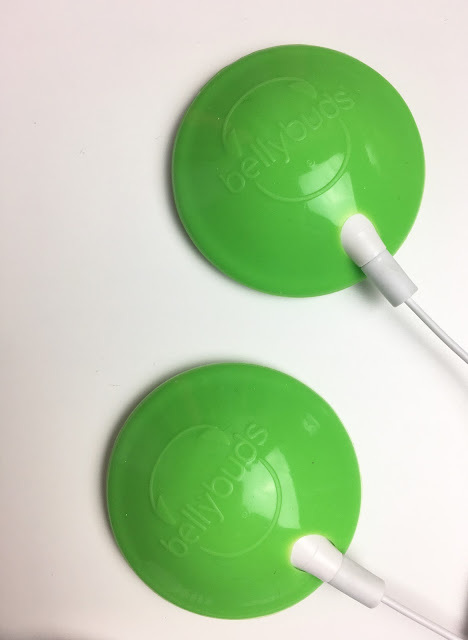 BellyBuds are a specialized speaker systems that carefully stick to your belly and allow you to play music to your unborn child. It could be soothing music or maybe a family voice. BellyBuds make it so easy to have that connection with your bump. They are super easy to use and can be used almost anywhere at anytime. A baby's hearing is fully developed at 20 weeks and memory starts at 30, this means if you play music to a baby inside you they will actually remember the song or voice outside the womb! 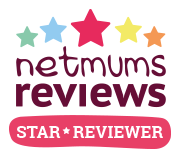 With the added app anyone you know can record messages and create playlists that you can then play to baby. One thing I love about BellyBuds is that there are no straps or buckles. They adhere to the skin with reusable, medical grade adhesives. It isn't sticky once removed either! This makes them really comfortable, easy to wear and really quite discreet. This means you can easily wear them outside on a walk for example. Both you and baby can listen to the same music, simply use the splitter that is included. Or older siblings can join in the fun and play music, talk or sing to baby. Paige loves everything to do with the baby. She is really enjoying this pregnancy and loves bonding with my belly and the baby. I love the idea of BellyBuds and think it's such a lovely idea to help and encourage bonding. Would you ever try BellyBuds?